Ontario-based photographer and filmmaker Jason van Bruggen has made a living working on intrepid stories in Canada and in some of the most remote and dangerous parts of the world. We asked him to pick two shots for our Double Shot photographer showcase, and write some lines about how and where he shot them. 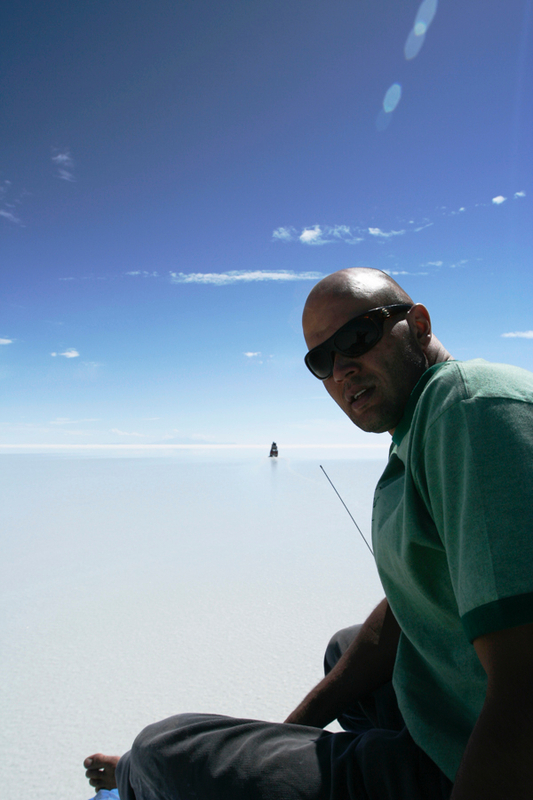 “I’ve been spending summers in the Canadian North for much of my life,” says van Bruggen. “The last two years I’ve been shooting in the Sahtu Region of the Northwest Territories, which ranks up there with my favourite destinations on the planet. It’s got some of the most iconic paddling rivers in this country and endless remote hiking and exploring offered by the Mackenzie Mountains, as well as some unique cultural experiences. You can take a number of fully guided trips or get off the grid completely and keep it that way for as long as you want. These shots are from two different trips, but both showcase the beauty and variable weather of the Sahtu. This shot (above) is a tributary of the Keele River taken pretty late in the day, although you can’t tell because the sun never really sets at that time of year. There are so many paddling options in this region and the Keele is one of the most scenic Arctic rivers in Canada. It’s not overly challenging from a paddling perspective, but there’s loads of exploring you can do on the journey and the fly fishing is world-class. 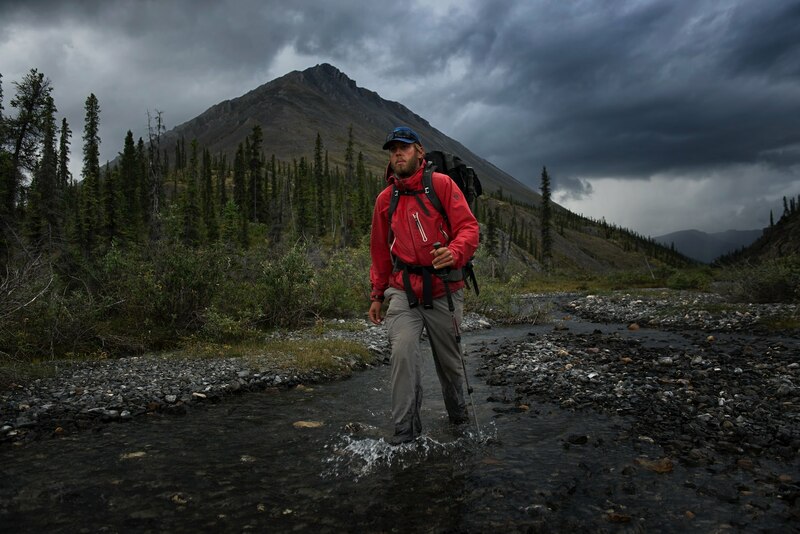 This shot is of my buddy Cedar Jasiuk, who works as a wilderness guide in NWT. Here he’s booking it on the Canol Heritage Trail as an epic storm gathers behind him. 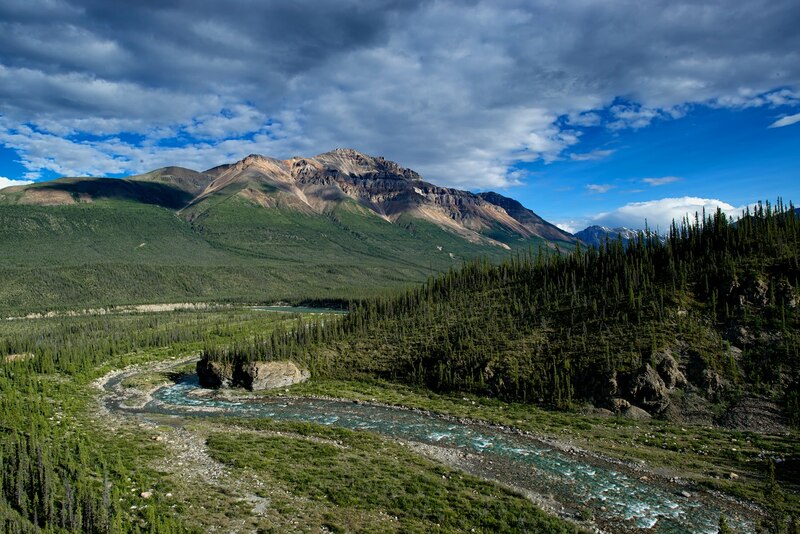 The Canol is a 355-km route running from Norman Wells through the Mackenzie Mountains to the Yukon border. Because of its remoteness, length and challenging river crossings, it’s considered by many to be Canada’s most extreme hiking route. Like anywhere in the Mackenzies, you’ll often get the four seasons in one day, and we certainly did that day. Check out Jason’s video of his trip here.